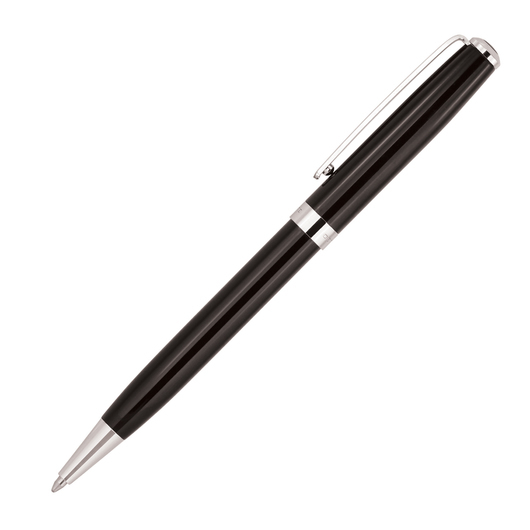 Perfectly satisfy your need for an excellent writing comfort and unmatched quality. 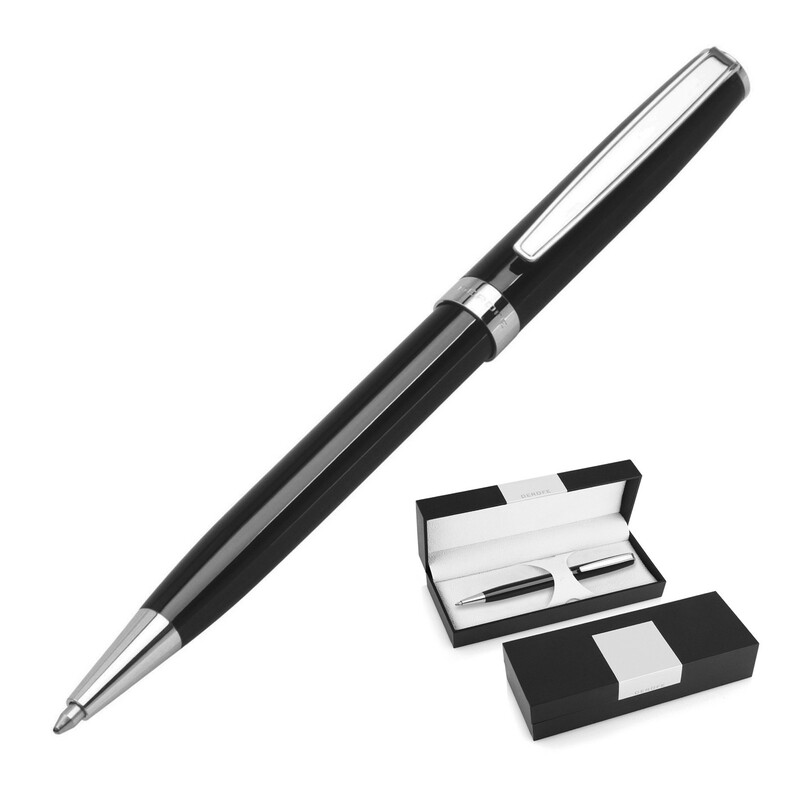 Presented in an elegant gift box, this Derofe fine writing instrument with chrome trim will make surely make an impression. The twist action, retractable black ballpoint has print/engrave and a Derofe metal refill made in Switzerland, with a ballpoint of 1.0mm and writing length of 9,300-9,500m. Available pad printed or laser engraved with your promotional logo to the upper barrel, or choose to personalise with the recipient's name.